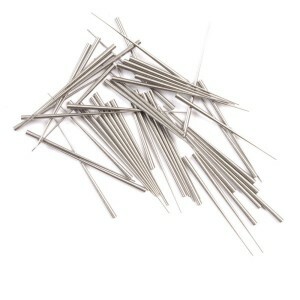 Fine steel tapered pins for French Clocks. 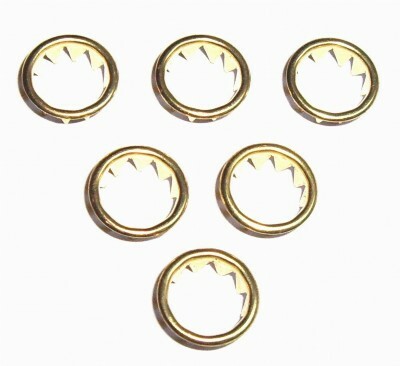 Pendulum hook for French clocks, manufactured from 4mm square brass with a plot hole drilled into the base. Pressed 1.5mm thick brass crutch blank for French Clocks. Brass French Clock Bell Stand with brass knurled fixing nut. Brass French Clock Bell Hammer with turned brass head, brass wire shaft and squared mounting boss. Brass French Gong Hammer with leather insert and squared mounting boss. The gong head is adjusted and locked by a small screw on the rear of the head. 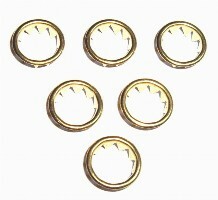 Brass straps for retaining French clock movements. Made 5.5" long to allow for shortening. Complete French Clock Silk pendulum. The rod is manufactured from 1mm spring steel, and is formed into a hook at the top of the pendulum. a 4mm brass square crutch block and 28mm bob are also included. 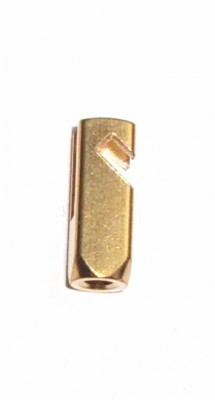 Pendulum supplied with a 245mm long rod to allow for shortening.